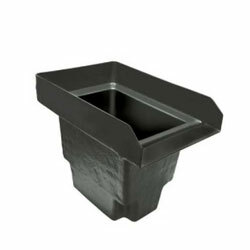 The Laguna Powerfalls Filter Spillway is an easy and affordable option for adding a waterfall to your small to medium sized pond. This unit accepts 1 1/2" tubing and can be installed in or above ground. 22" x 15" x 16¼"